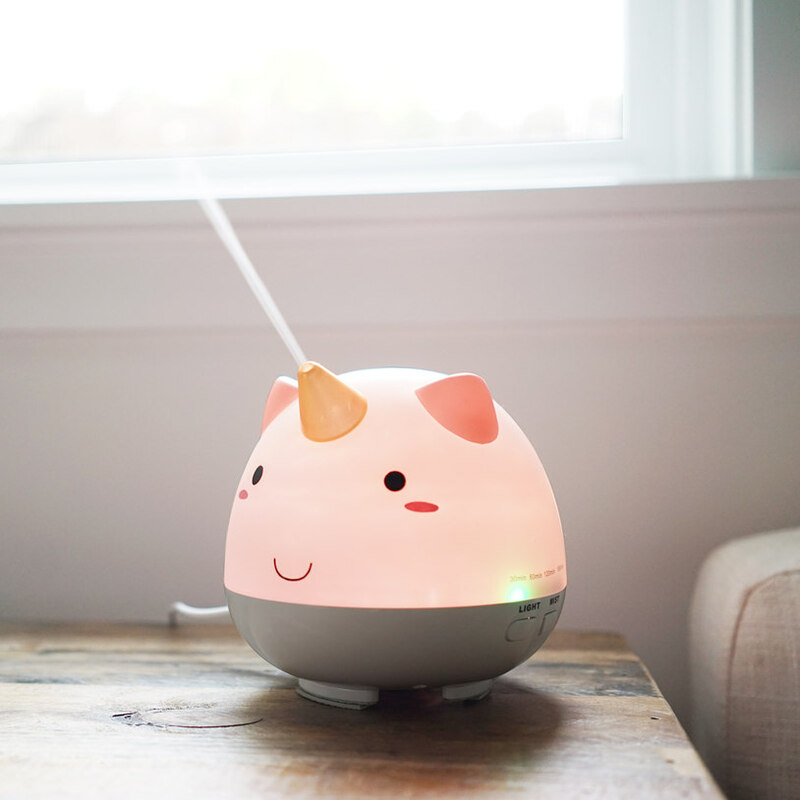 In a modern day myth we had not anticipated, some genius folk have turned diffusers into … unicorns! Elodie the Unicorn is here for your misty and glowy pleasure. Not only does she prettily light up in a whole bunch of rainbow colours and make everything suddenly seem completely okay … She’s cleverly capable of shooting mist out of her magical unicorn horn for up to eight environmentally-pleasing hours! Elodie has three timed auto-shut-off periods, so she can shut herself down as you drift off to sleep. 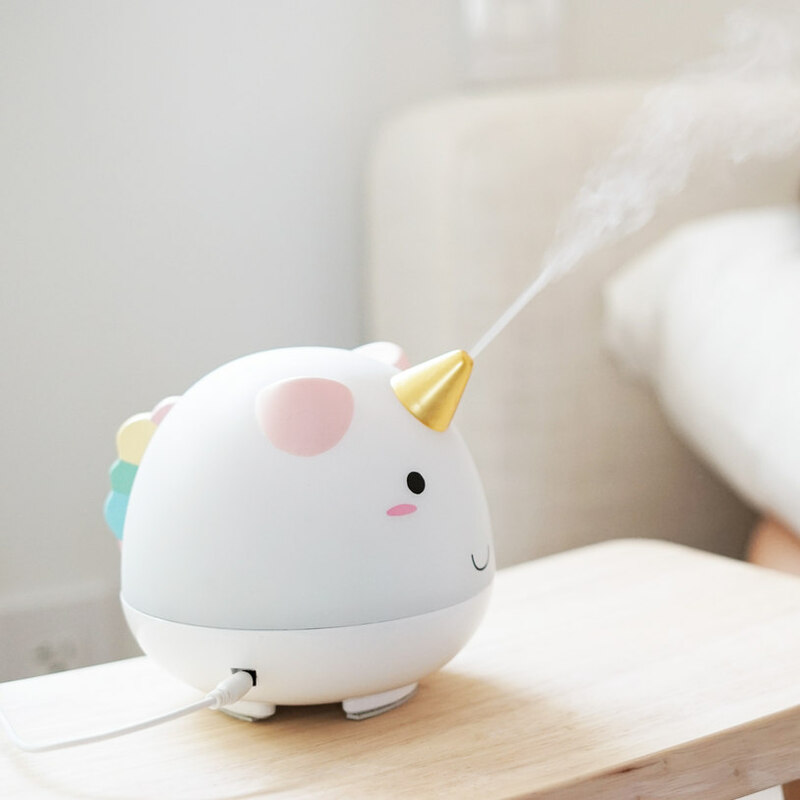 You can also add your favourite essential oils to her unicorn tummy, keeping things sweet-smelling AND nicely hydrated. You can wipe your fancy bottom with unicorn toilet paper now! 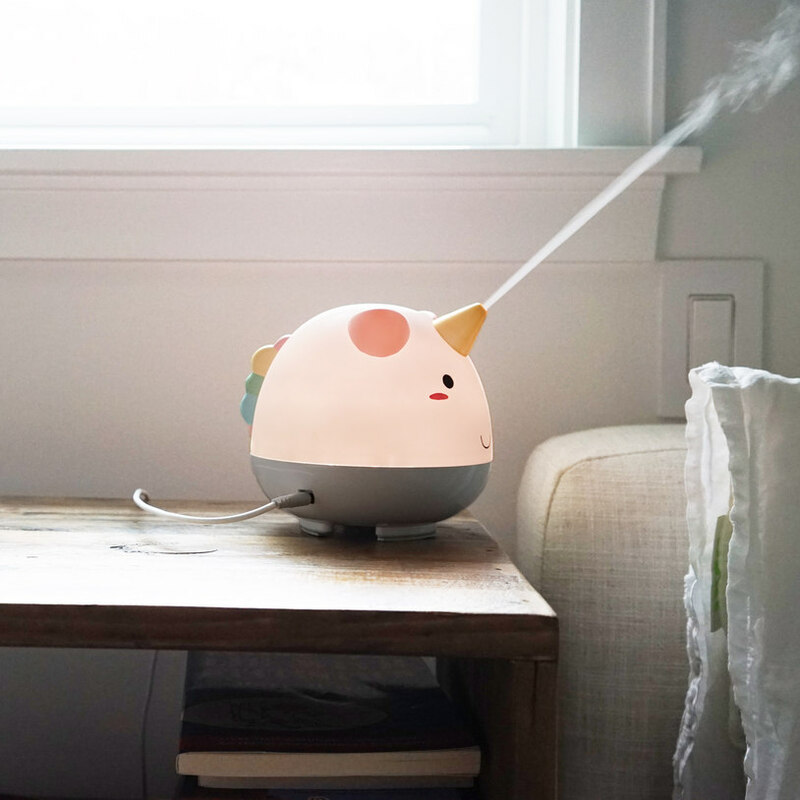 Granted Elodie is not the cheap sort of unicorn – she sells for around $74 – but she is the special kind of unicorn that might help ease anxiety and rattle-y chests and/or unblock snuffly noses. Elodie was made possible by a crowdfunding campaign on Kickstarter, which saw close to 2000 unicorn-tragics supporters pledge a whopping $125 503 to get the unicorn-creating job done. You’ll be pleased to know that Elodie is USB powered (so no pesky adapters or OS plugs to contend with) AND can be delivered worldwide. It’s also worth noting that there are a whole bunch of Elodie the Unicorn products available, including mugs, planters and ramen bowls. Is Elodie the misty and magical gift you didn’t know you needed? We vote YES!